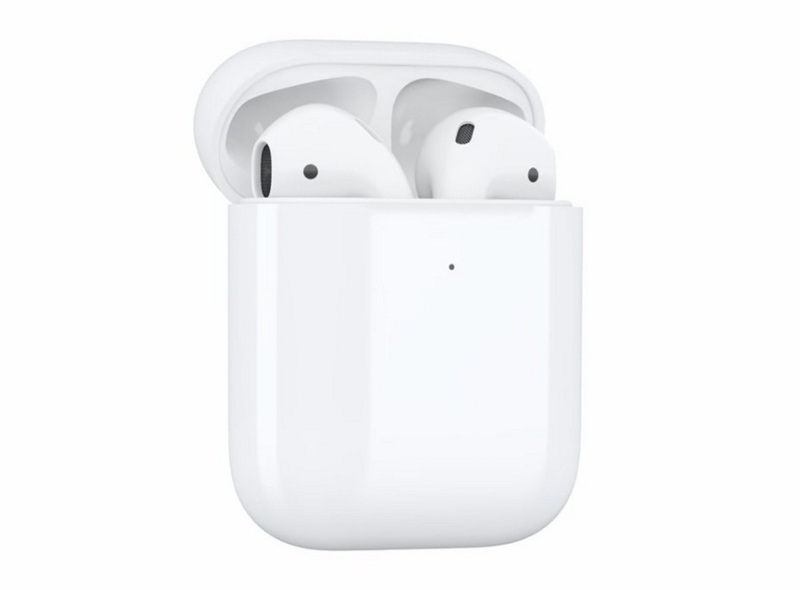 During Tuesday's event, Apple revealed that the rumored new version of its AirPods headphones were not in fact the "AirPods 2," but simply a new inductive wireless charging case that users will be able to purchase as a replacement for their current charging cases. No release date or price was mentioned, but information reportedly sourced from Apple Switzerland (via MacPrime) [Google Translate] suggests a December launch date for the new AirPods wireless charging case, which will cost $69. Apple's out-of-warranty fee to repair or replace the AirPods charging case is $69, so a similar price point for the wireless charging version does make some sense. The only design change made to the new charging case is the placement of the LED battery indicator light, which has migrated from the inside of the case to the outside on the front. This way, when users place the case down on a Qi-compatible charging pad, they'll be able to see the battery level of the AirPods' case without needing to open the top. 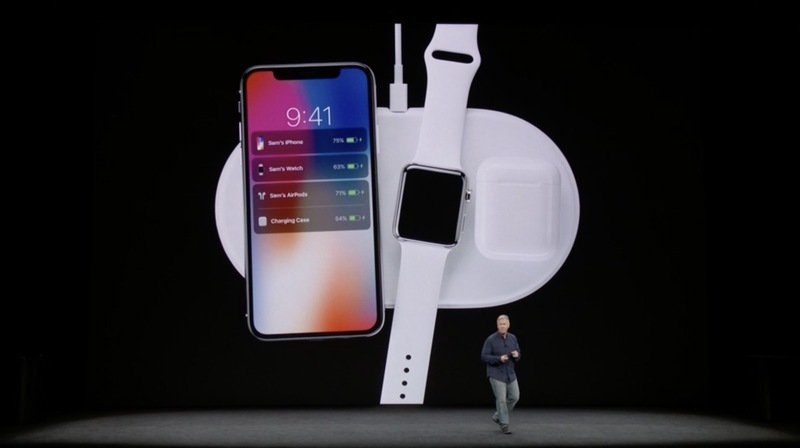 Apple will be launching its own Qi charging station -- called the AirPower mat -- sometime in 2018, but until then owners of the iPhone 8, iPhone X, and AirPods will need to purchase third-party charging pads. In regards to the new AirPods wireless charging case, it's still unclear if Apple will offer a version that also includes the AirPods themselves at the typical $159 price tag. The original AirPods launched in December of 2016. The miracles of wireless charging! #1 - An AC adapter that plugs into the wall. #2 - A Lightning power cable. #3 - A wireless charging mat. #4 - A charging case. So much easier than just plugging your devices into the wall. Or, you know, any other pair of headphones that just gets power by virtue of being plugging into something else that has power. LOL this is obscene. $159 for Airpods, $69 for this case, probably ~$99 for the AirPower mat whenever it's available. I mean, honestly, this is idiotic. I hope this crap backfires in the biggest way. Surely all new AirPods will come with the wireless charging case... surely? I DEMAND NEW FEATURES NOT ORIGINALLY INCLUDED IN MY PRODUCT BUT I SHOULDN'T HAVE TO PAY FOR THEM! £69 just to get a wireless charging feature is ridiculous. That'll mean your total outlay on the AirPods would be £159 + £69 = £228. Insane! But then again, we already knew the price of the wireless charging case would be ridiculous anyways. Why do you people keep supporting apple by buying this overpriced crap!? Vote with your wallets people! That case should be no more then $15. Just like charging cables and dongles should be no more then $5. It's too bad that Apple Watch users with Link Bracelets, Milanese Loops, and similar bands can't easily use that AirPower mat. Otherwise I would get one! Just look at the amount of stuff in there, people.